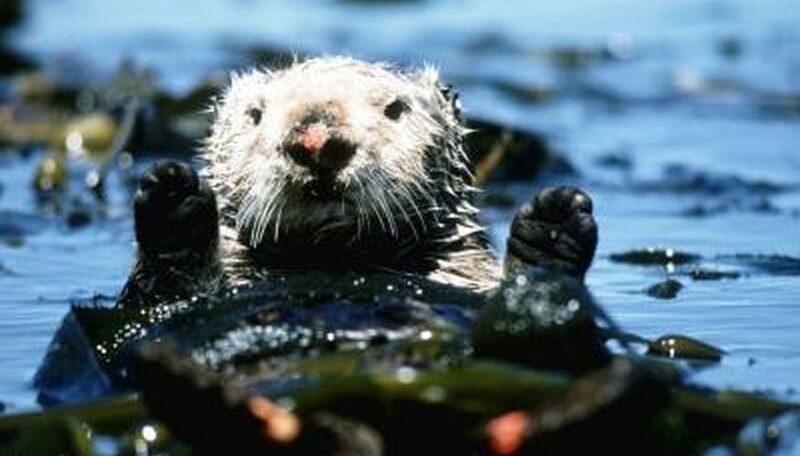 ea otters feed upon sea urchins, reducing the intensity of grazing pressure on the kelp. This allows the kelp to develop dense populations that, in turn, provide the otters with cover that protects them from predators and strands that anchor them in place while they rest. Red rock shrimp cluster in groups on the rocky bottom of the kelp forest and provide cleaning stations for other species such as garibaldi and spiny lobsters. But they have a special, symbiotic relationship with the California moray eel. These shrimp often live in the same crevice as their partner eel. The shrimp rid the moray of dead skin and parasites. In return, the eel provides the shrimp with protection from predators. The sunburst anemone is often found attached to rocks within the kelp forest. These anemones have endosymbiotic zooxanthellae, or internal dinoflagellate algae. This relationship provides benefits for both species. The zooxanthellae are protected within the tissues of the anemone and receive carbon dioxide and nitrogen from the anemone's metabolism, which are used for photosynthesis. In exchange, the zooxanthellae provide the anemone with the oxygen and glucose formed during photosynthesis, which it uses to fuel its metabolic processes. 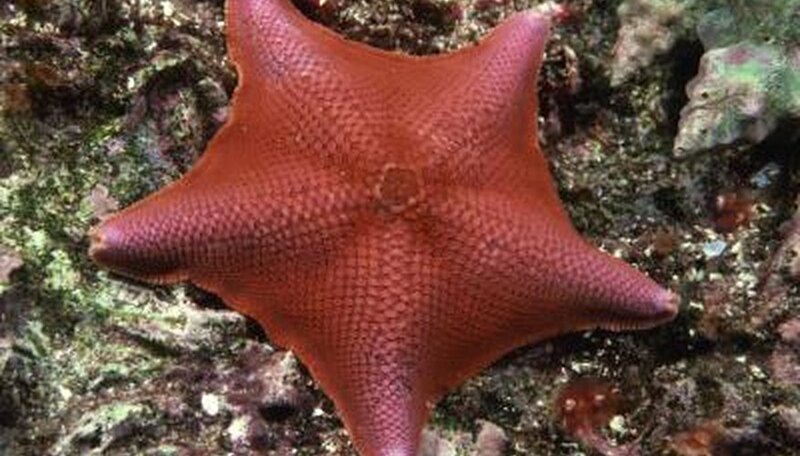 The bat star is one of the most common sea stars in the kelp forests along the west coast of the United States. A type of annelid worm that is able to live freely in the mud may also be found living in the grooves that run along the arms of a bat star. These commensal worms are able to scavenge food scraps from the bat star and may derive some protection as well, but do not benefit nor harm their host. Bratcher, Rory. "Symbiotic Relationships in the Kelp Forest Ecosystem." Sciencing, https://sciencing.com/symbiotic-relationships-kelp-forest-ecosystem-7273.html. Accessed 18 April 2019.